(Photo: REUTERS / Stringer)India's Prime Minister Narendra Modi attends an event organised by the Christian community to celebrate the beatification of two Indians by Pope Francis late last year, in New Delhi February 17, 2015. Modi vowed on Tuesday to protect all religious groups, an apparent response to a series of attacks on Christian institutions in New Delhi fuelling concerns that minorities are being targeted by Hindu zealots. Indian Prime Minister Narendra Modi has pledged to put an end to persecution of minorities in the country, promising to ensure religious freedom after his government has faced accusations of being apathetic towards the plight of Christians and Muslims there. Finally ending months of silence when faced with the issue, Modi told a gathering of Christians that he condemned violence "against any religion," saying the Indian government would act to stop persecution. "We cannot accept violence against any religion on any pretext and I strongly condemn such violence. My government will act strongly in this regard.," Modi said before some 1,200 Christians, including Cardinal George Alencherry, major archbishop of the Syro-Malabar Church, Ucanews.com reported. The prime minister was the guest of honor at a national seminar on "Religious Witnessing" to mark the recent canonization of Kuriakose Elias Chavara and Mother Euphrasia. But the prime minister stopped short of mentioning specific attacks against Christian churches and institutions, which community leaders say have increased since Modi's Hindu nationalist Bharatiya Janata Party (BJP) took power in May 2014. "My government will not allow any religious group, belonging to the majority or the minority, to incite hatred against others, overtly or covertly," Modi continued, as he sought to reassure religious minorities. "Mine will be a government that gives equal respect to all religions." Some Indian newspapers praised Modi's move in editorials. "Mr Modi has done well to speak out publicly against religious intolerance. He must also openly counter BJP's ostensible well-wishers who undermine his development agenda," The Times of India said in an editorial on Feb. 18. The Indian Expressed editorialized, "The PM's words are enormously welcome. It is not just that he has said what he chose not to, so far. It is also that by saying it so unambiguously, he has sent out a clear message: his government can now be held accountable if it does not ensure an environment that safeguards the freedom of faith for everyone." Modia issued an appeal to religious groups "to act with restraint, mutual respect and tolerance" so as to promote the religious rights of everyone involved. Modi has come under intense criticism for failing to publicly countenance recent attacks against minorities, which led some community leaders to believe he could not rein in members of his BJP. Christian and Muslim leaders had called out the prime minister to be vocal about the persecution experienced by people among their ranks. Among the worst cases of religious persecution is the forced conversion of Christians and Muslims to Hinduism. As far as Christian clergymen were concerned, their parishioners faced threats from certain hardline groups who were trying to make India a Hindu-only nation. 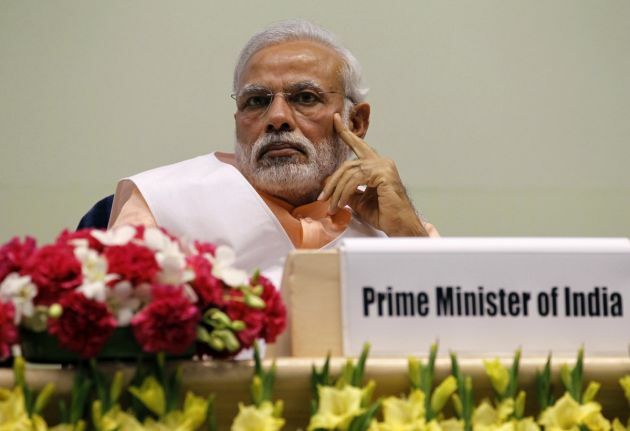 Until his speech on Feb. 17, Modi's silence has bothered leaders of minority religious groups.